While I had been applying powder on top of my foundation I felt like the finish got really powdery (I'm into dewy finish at the moment), as I could see the powder on my little face hair (if that's make sense). So I decided to have a look at finishing sprays. I had read few reviews about Mac Fix+ and there are lot of mix reviews about it, but I still gave it a go. 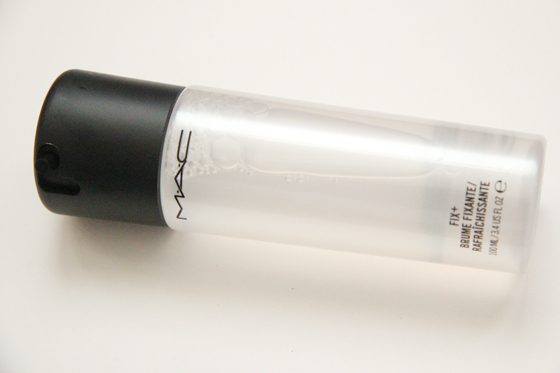 Mac Fix+ Spray is an refreshing spray, it won't smudge your foundation, but when you are spraying to close to your face it can leave marks. Once you spray it on your face it's takes around 30 seconds to dry. I normally apply 2-3 pumps in the morning, and during the day I also like to re-apply it, just to refreshes my make-up. I thing this will be a lot better during the summer. Some people don't like the smell, as they find it very overpowering, but I must say that I love it! I find the scent very fresh, I just can't describe it. 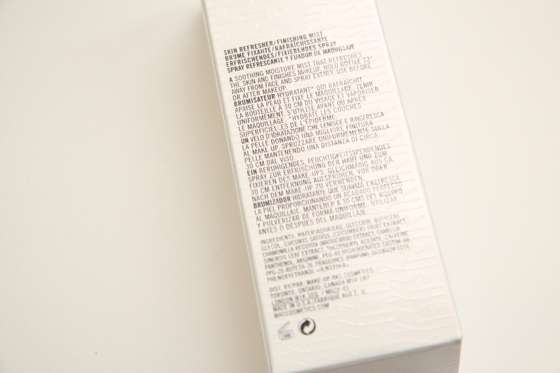 The MUA told me that there is a new version of this, which contains Minerals and does a lot of good to the face. When I hear a talk like this I'm always like "No thank you, maybe next time". I just like to read reviews before I buy most of my products. It's work very nicely, when you wet your brush and apply your eyeshadow, to get your eyeshadow more pigmented. Some people had recommend to use it on your hair, I still haven't tried that. The bottle looks really nice. I was planning to buy the smaller version 30ml, just to try it out, but I don't think it worth the £7, whereas the 100ml bottle is £12.50. The 100ml bottle will last you for ages. 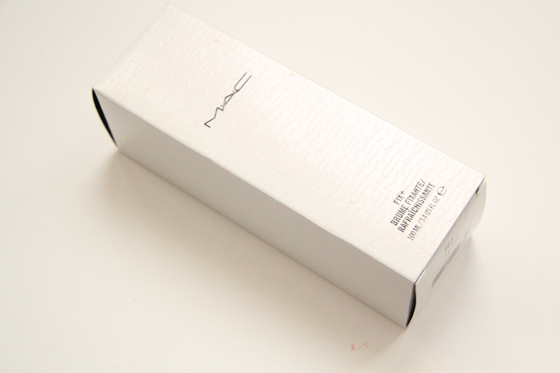 Overall I love this products and I will re-purchase this, when I run out. i use it and its great! I just stumbled upon your blog and was so happy to see your review on Fix+. I just ordered this online a couple days ago! Just waiting for it to come in. This was a helpful little review, thanks!